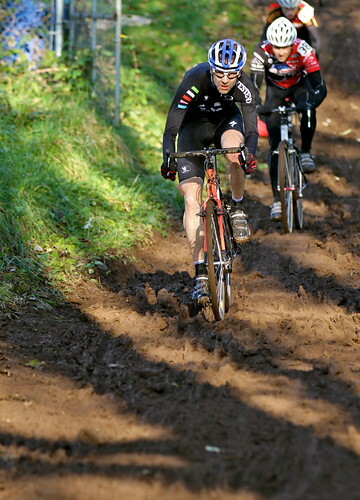 If you’re racing cyclocross this winter, you are pretty much assured that you’re going to encounter some mud. Whether it’s the thick, heavy stuff that’s like riding through peanut-butter, or the ultra-soft watered down stuff that ends up everywhere, it’s tough to ride through. At some point during the season the hard-packed ground will turn into a form of gloop; as a rider you need to be prepared. One of the easiest ways to prepare for the conditions is picking up some mud-specific cyclocross tires. Generally there are three kinds of cyclocross racing tires: dry conditions, all-around performance and mud-specific tires. It’s a good idea for a racer using clincher wheels to carry a selection of tires to swap throughout the racing season. Two of the more recent additions to the clincher cyclocross tire market are Vittoria’s Cross XL Pro and the Clement PDX. Both tires aim to target the muddier end of the CX racing season. Will they help you power your way to better performance, or leave you sliding in the mud? To compare, we’ll use a scorecard for you to judge how each cyclocross tire performs. 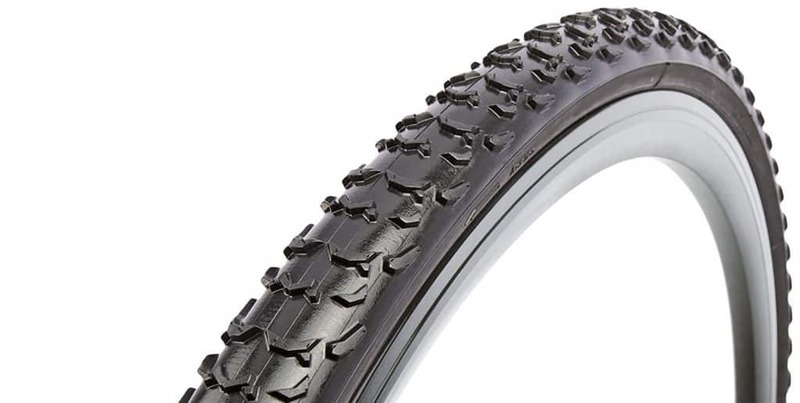 Which of these two cyclocross mud racing tires is the best for winter riding conditions? Read on to find out. Anyone looking for a racing tire to conquer muddy conditions should focus on three things: proper tread to drive you forward in the mud, side tread positioning, and an open tread pattern to ensure grip and mud clearance. In terms of its tread pattern, the XL Pro has a slightly more aggressive edge with lots of claw-like tread sections which really bite into the terrain. These are ideal for muddy conditions although give the Cross XL Pro an edge in the all-around performance stakes compared to the PDX and therefore not limiting the tire to being just for the mud. The PDX tread features flatter, blade like contact areas which don’t quite have the same level of grip and bite into the terrain. The tread on the PDX features a side tread with knobs which look almost like ice-axes with a near-flat exterior to allow the tire to dig into the mud whilst cornering and limit the tire sliding out during cornering. The internal edge forms a hook to help hold you in place to give great traction to drive you forward. The side tread knobs on the Cross XL Pro are a little more linear in nature, which means they’re more associated with elements of grip than traction which is where the tire can be marked down against the PDX. In terms of tread openness both tires feature a plethora of large gaps in the tread to allow the tire to bite into and release the mud without clogging up to limit traction. One of the key differences that must be noted is that for the PDX the section between the central tread and outer edges is a little less cluttered which should lead to less likelihood of the tread blocking up with mud. As performance driven cyclocross tire I wouldn’t expect these tires to last long if I’m using them for anything but racing and cross country rides. Unless you’re commuting over muddy farmers fields (Which would be a dream for many CX riders) these tires certainly are not -targeted for commuting. Longevity should not be an issue if you’re using for their designated purpose of cyclocross riding and racing and a rider should expect to get at least a couple of winters from both sets of tires without major worries. The only factor which may influence longevity is that neither tire features any significant sidewall strengthening. Puncture resistance for the Vittoria comes courtesy of their PRB 2.0 puncture stripping within the casing of the tire which is featured throughout much of Vittoria’s tire range. It does an excellent job of limiting the need to replace an inner tube on a cold winter day in the middle of nowhere. The Clement PDX seems to have a puncture resistant strip but very little information is publicized on this aspect of the product. Nevertheless, both tires score evenly in this category. Rotational weight has some significance in a cyclocross tire, so those grams really do count. In their 700c x 33mm width designs the Vittoria Cross XL Pro weighs 440 grams versus 350 grams for the Clement PDX clincher. 90 grams per tire is quite a big difference and while the weight of the Vittoria might not seem significantly high when compared to other tires on the cyclocross marketplace, in this area the PDX wins hands down. 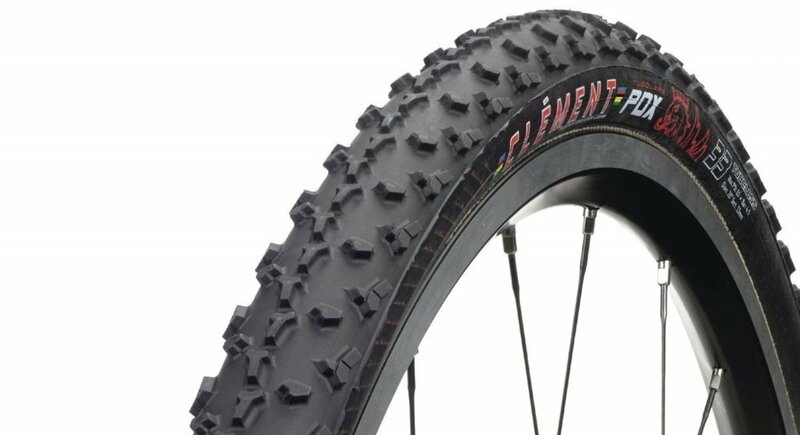 Our cyclocross mud tire review winner was the Clement PDX Clincher. This decision is based on its lighter weight and more open tread pattern. In a head-to-head comparison, it is the opinion of the author that the Clement PDX is the best cyclocross tire for mud of the two. Weight: The Clement PDX offers a lighter weight for race-worthy performance. Tread: The Cross XL Pro tread is a little more aggressive for the mud and soft conditions making it a slightly better all-around tire.